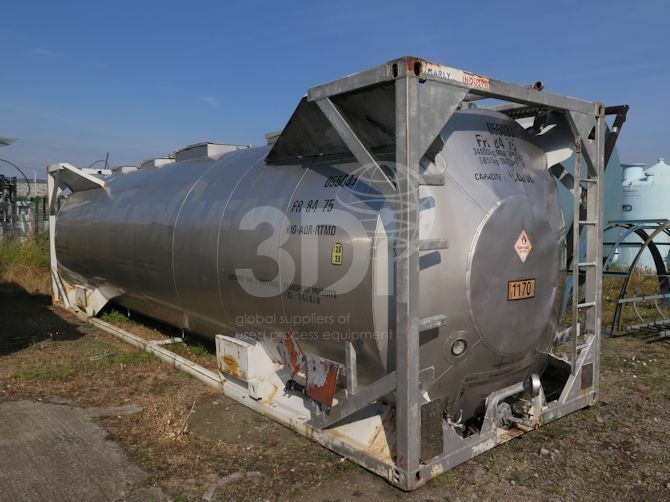 Used 35,000 Litre ISO Tank Container, manufactured by Marly Industries, 1992. IMO Type 4. Model NTR8475/-/350/227/I/G 61607. Orientation: horizontal, cylindrical, dished ends, supported by a steel transportable frame. 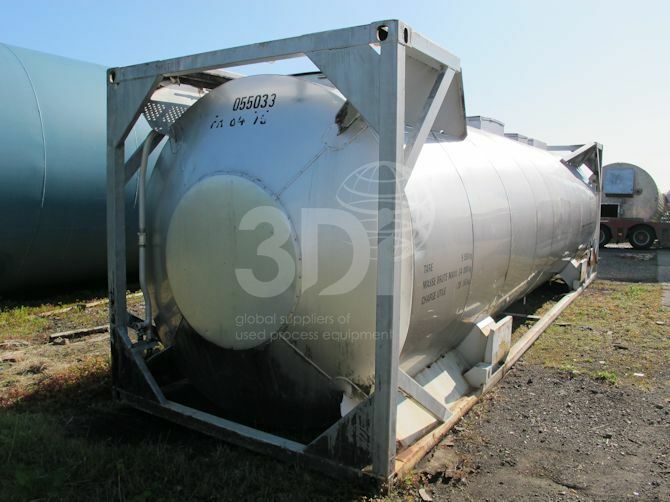 Dimensions: 2440mm diameter, 2600mm high, 9120mm long. 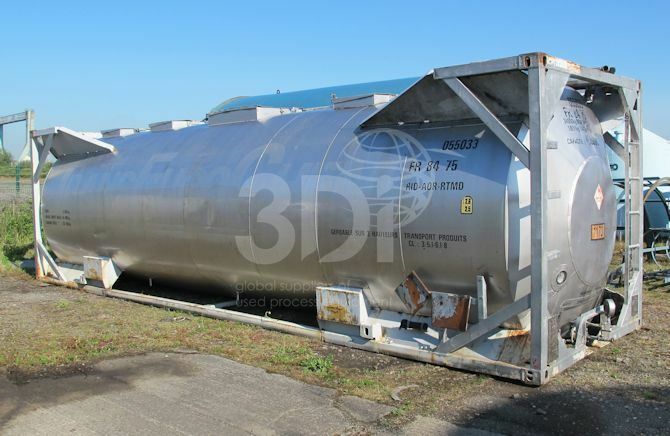 Material of construction: vessel is 316 stainless steel, frame is mild steel. Thickness: 4.41mm. Design code: ASME Section VIII Div 1, test pressure 4 bar, max working pressure 2.66bar, design temp -20degC to +65degC, steam heated. Empty Weight 5850kg. Currently not in test, static use only.